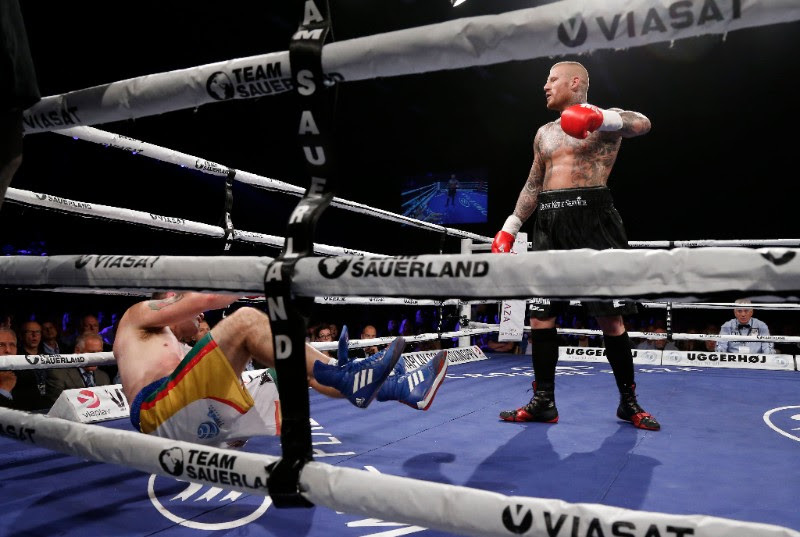 Patrick Nielsen (27-1, 13 KOs) and Rudy Markussen (39-3, 26 KOs) will meet in a Danish mega-fight on December 12 at the Brondy Hallen in Copenhagen. The blockbuster showdown comes following months of antagonism between the bitter rivals, which reached boiling point earlier this year when Markussen crashed one of Nielsen’s pre-fight press conferences. Having both overcome ‘Collision Course’ clashes in Frederikshavn last month, the stage is now set for Denmark’s biggest domestic fight for over thirty years. ‘’I’m very happy my team has delivered me this fight,’’ said Nielsen, the current WBA International Super Middleweight Champion. ‘’This is the fight I wanted and this is a fight I know I can win. ‘’I’ve had a short break after my last fight, but now I’m back in the gym, and I can guarantee fans are going to see the best Patrick Nielsen in the ring. I’m leaving nothing to chance and will make sure I’m in the best possible shape. ‘’This fight has come at a perfect time for me,’’ said Markussen, a former European Champion and World title challenger. ‘’I hope Patrick is training hard because I’ve been preparing for this for a long time and will be 100% ready! ‘’This is a massive fight, not just for me, but for Danish boxing as a whole. We’ve not seen a rivalry like this for a long time. This is a chance for me to bring some excitement back to the sport. Patrick is not a bad fighter but he lacks that excitement. ‘’He also lacks experience. He may have had many fights and gone many rounds but there is a big difference between this and fighting in the States or going to Germany to fight Sven Ottke. I’ve been in this kind of situation before and fought against a much higher level of opposition. ‘’This is the fight the fans have been waiting for,’’ said promoter Nisse Sauerland. ‘’There is real bad blood between Patrick and Rudy, and now they have the chance to settle their differences once and for all! The Danish mega-fight between Patrick Nielsen and Rudy Markussen will be shown live and exclusive on Pay-Per-View in Denmark for 499 DKK – further information will be communicated by Viasat/ Viaplay. Tickets go on sale today from 12.00pm and are available online via billetlugen.dk or by calling (+45) 75 263 267.